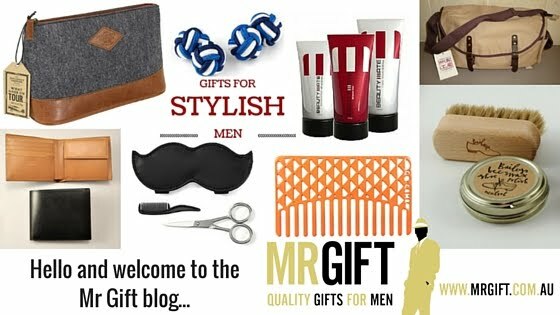 It doesn't matter if you have $20 or $200 to spend on a Father's Day gift this year - Mr Gift has a great selection of quality gift ideas that will make dad feel spoilt. Don't forget to enter our competition before Sunday 2nd September 2012: Tell us in 25 words or less the best thing your dad has ever done for you and go into the draw to win a Joseph Joseph No-Spill Salt and Pepper Mill worth $69.95. Email your answer to courtney@mrgift.com.au. SPECIAL OFFER: We would like to offer our newsletter subscribers a $20 gift voucher for Father’s Day. Simple enter code DAD when you place your order to receive your discount. All new subscribers can also receive this voucher, so please forward this email onto your family and friends so they can REGISTER and take advantage of this offer. Please note that only one voucher can be used per customer in one transaction. This voucher cannot be used in conjunction with any other offers or redeemed for cash. We also offer FREE GIFT WRAPPING for any orders placed by our newsletter subscribers. Just type GIFT WRAP in the Comments box when you order. Troika is a German-designed brand that reinforces many of the qualities that we associate with German products: cutting-edge designs carefully crafted from high quality materials. Specialising in quality giftware items, we love Troika’s stylish range of office products, such as business card holders, money clips and notebooks that make ideal gifts for business professionals. Many of Troika’s products are made from a combination of leather and metal. The metal sections are ideal for engraving to personalise or brand for the perfect corporate gift that will impress your clients and colleagues. We love the consideration that the Troika team put into developing products to fulfil a need and enhance our lives. Products such as the Toolegance Multi-Function Tool, Must Have Travel Set, Accurate Tape Measure and Smart Guide Compass effortlessly combine style and function. If you’re looking for a stylish gift he will treasure and keep forever, look no further than the Troika range. BUY NOW and receive FREE DELIVERY on any Troika product purchased before 5pm Tues 28 August 2012. Simply enter code TROIKA when you place your order. 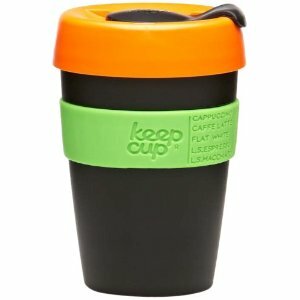 My first encounter with KeepCup was when a thoughtful workmate purchased one for me after raving about hers for weeks. I was sceptical at first – surely this was just another cup to wash up? But once I started using it I was hooked. The sealable lid is obviously a key advantage. I could walk to work with my morning coffee without worrying about any spillages, and being the world’s slowest coffee drinker, my coffee stayed hot for ages. I have had my trusty KeepCup for over a year now and faithfully use it every day. It still looks as great as the day I first received it, despite countless spins in the dishwasher and microwave. I also get a kick thinking about how many disposable coffee cups I have saved from landfill over the last year. 1. They are non-toxic, manufactured from polypropylene #5 – the safest food grade plastic, which is BPA Free. 7. Perfectly sized - designed to fit under the group heads of most espresso machines. What is the KeepCup silicone band for? Each KeepCup has a thermal silicone band with coffee preferences debossed on it. A permanent marker can be used to mark your coffee preference for your barista. Tip: Use a gold or silver pen to mark darker coloured bands. Once you’ve tried a KeepCup you’ll never want to drink out of a disposable coffee cup again! Take advantage of our introductory multi purchase offer: 2 KeepCups for $25 (or $14.95ea), in addition to our Brand of the Week Offer. 5pm Fri 1 June 2012. Simply enter code KEEPCUP when you place your order.